Putting on makeup is fun but let's face it, removing makeup is such a hassle and you don't want to go to bed with makeup on. It is not attractive to wake up with panda eyes, more importantly you don't want the makeup to sink into your pores. I love to wear makeup but unfortunately I have a very sensitive skin. Most make up removers are very harsh on my sensitive skin which makes it difficult to find a proper makeup remover that suits my skin. After trying tons of different makeup removers, I found the type of makeup remover that is suitable for me which is water-based makeup removers. I really recommend people with sensitive skin to remove makeup with cleansing water because its more gentle to the skin. 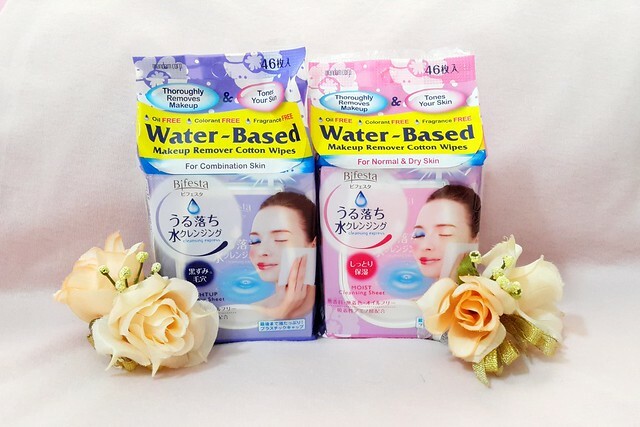 I've received a set of BIFESTA makeup removers recently and I am so glad that it is all water-based! 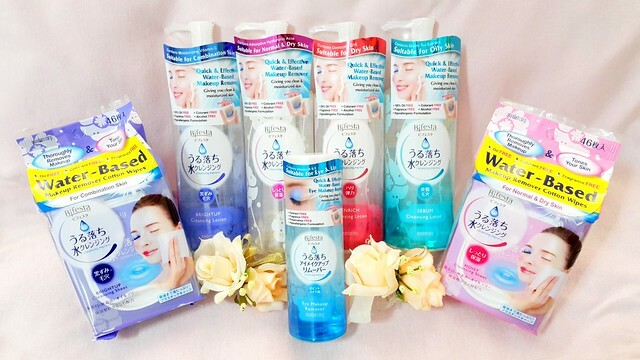 This brand is previously known as Cleansing Express and it is Japan's very first water-based makeup remover. Besides, Bifesta only sells makeup removers. How specialized!! What I like about Bifesta (besides being water-based) is everyone can use Bifesta because it is catered for all skin types!! Each Bifesta makeup remover contains different ingredients to suit different skin types with added skincare qualities. Did I mention that Bifesta Cleansing Lotion Series is 3 in 1 makeup remover that removes, cleanse and tone my face in just one wipe? Not only that, no rinsing is required. I love how quick and effective this makeup remover works to remove my makeup after a long tiring day out. Lazy girl like me is ready for bed with no sticky feeling on my face. 1. Thoroughly soak the cotton pad with 3 pumps of lotion. 2. Gently wipe makeup away and repeat with another cotton pad to ensure that entire face is clean with no residue left. When removing eye makeup, gently hold cotton pad on eye area for 10 seconds before wiping off. 3. Thoroughly removes makeup without scrubbing skin and there is no need to double cleanse. In fact, washing face again washes off the moisturizing ingredient in Bifesta cleansing lotion. I love how convenient this makeup remover wipes works as it not only removes my makeup but tones and moisturizes my face at the same time. I use wipes to remove my makeup when I travel or away from home because no rinsing is needed and I don't have to carry so many facial products around. Bifesta makeup remover cotton wipes is all in one and it doesn't irritate my eyes or cause any redness to my sensitive skin. The packaging of Bifesta makeup remover cotton wipes is not reusable but fret not because every pack comes in a plastic cap that is specially designed to retain moisture of cotton sheets. There is generously a total of 46 sheets in a pack and Bifesta cotton sheets are so soft and gentle. 1.Open the cap and pull the ring of the inner plug and take out one cotton sheet. 2.Wipe off makeup gently and re-fold the cotton sheet to clean surface and repeat until no residue is left on the cotton sheet. When removing eye makeup, gently hold cotton sheet on eye area for 10 seconds before wiping off gently. 3. Just one cotton sheet is enough to remove all makeup on entire face. Double cleansing with facial wash is not required as it contains moisturizing ingredients. 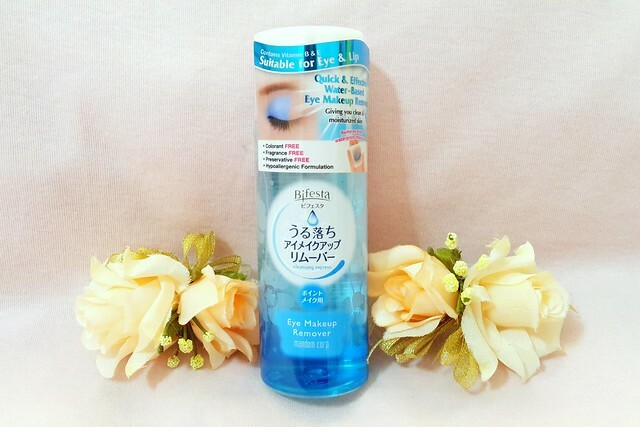 Bifesta eye makeup remover is made specially to remove makeup on the eyes and lips. It contains vitamin B and E that provides gentle moisture for eye area and lashes. A combination effects of water and oil layer which derived from facial toner, gentle yet powerful when removing stubborn and waterproof eye makeup. 1. Put a suitable amount of makeup remover onto a cotton pad. Do shake well before use. 2. 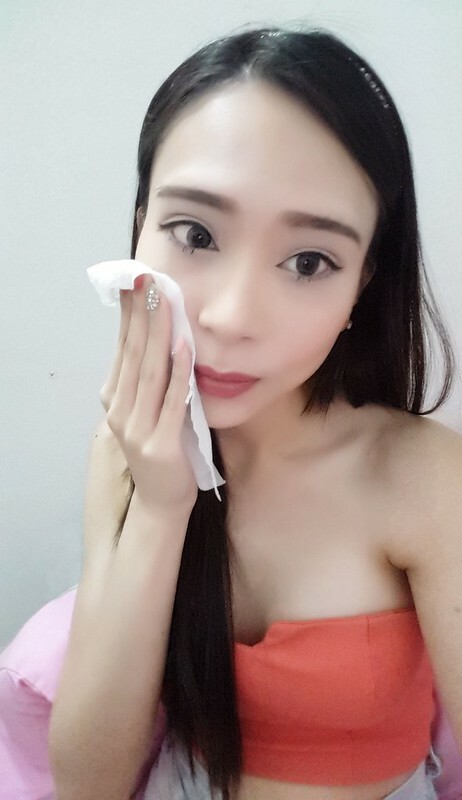 Hold cotton pad on the eyes for 10 seconds before gently wiping off makeup. May be used to remove lip makeup too. 3. Rubbing is not needed as this eye and lip makeup remover works by lifting makeup rather than melting it away. Works wonder to remove stubborn waterproof mascaras. 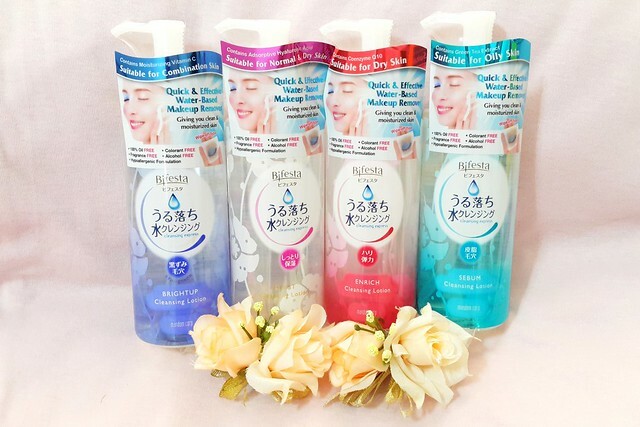 Overall, I love all Bifesta makeup removers because it is water-based which really suits my sensitive skin. Bifesta products are 100% oil free, colorant free, fragrance free and alcohol free - so gentle to the skin. 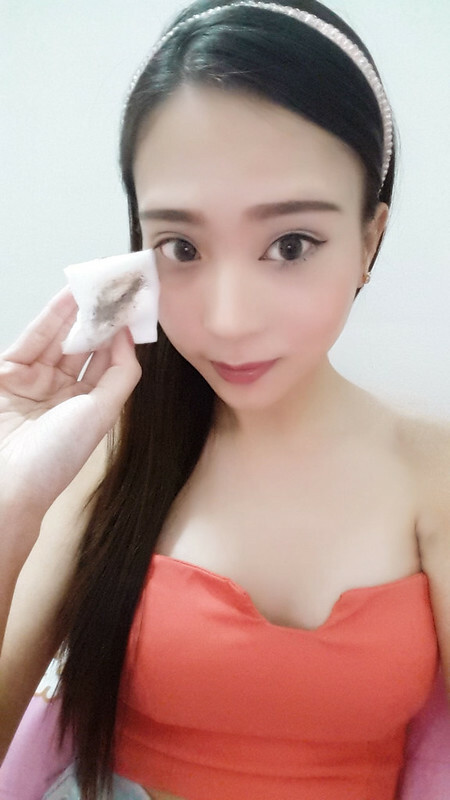 The best part of Bifesta makeup remover is it removes ALL my makeup effectively, so quick and convenient as the last thing I feel like doing after getting home late is taking off my makeup.